The short story is often viewed as an inferior relation to the Novel but it is an art in itself. To take a story and distil its essence into fewer pages while keeping character and plot rounded and driven is not an easy task. Many try and many fail. James Fenimore Cooper was one to succeed creating miniature masterpieces with a lot to say. 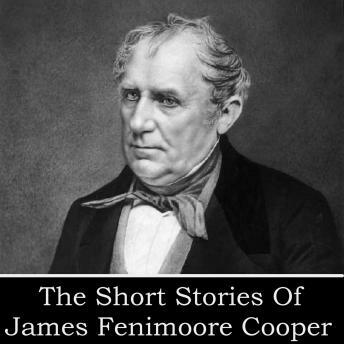 James Fenimore Cooper was born in Burlington, New Jersey on September 15, 1789. He lived most of his life in Cooperstown, New York (established by his father William). Although he attended Yale university, he was expelled and joined the US Navy as a Midshipman which was to provide much influence and research materials for his later writings. Although a Naval historian he is forever associated with one great book - Last Of The Mohicans. His output was prolific and included the famed Leatherstocking series. He was wildly popular as an author with his blend of history and romance. Here we bring you two of his short stories which are a fascinating insight to his view on life. He died of dropsy on September 14, 1851, the day before his 62nd birthday. Our readers are Richard Mitchley and Ghizela Rowe.